Wifi Unlocker 2.0 is an application so that it will aid you audit the security of your WiFi networks or get better passwords from other networks. Of direction, in conception you should handiest use it in your possess networks, but in apply you can also find other uses. Utilizing the applying is so simple as hitting the refresh button founded within the upper proper-hand corner of the screen, and ready for it to find the entire on hand networks on your subject. This may take particularly awhile, depending on how many networks are shut through. Upon getting the list, which you can pick your network (it is principal to not select unfamiliar networks, as you would become committing against the law) and determine out its security. If one can find your password, it can be quite often a excellent thought to switch it up. This version of the application supports the following modem models: Thomson, Blink, SpeedTouch, O2Wireless, Orange, INFINITUM, BigPond, Otenet, Bbox, DMAX, privat, DLink, Discus, eircom, FASTWEB-1, Alice, WLAN_, WLAN, JAZZTEL, YaCom, SKY, TECOM-AH4222, TECOM-AH4021, InfostradaWiFi, TN_private_, CYTA, InterCable, Axtel, and MegaRed. 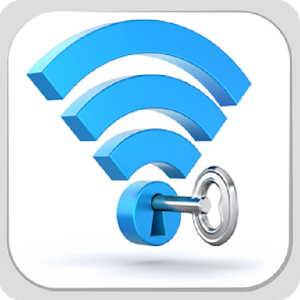 Wifi Unlocker 2.0 is a tool that you should not take lightly; although it can be handy to make use of and can aid you out with your own connection, the penalties of abusing its power might be beautiful bad. You already know what they say: use at your possess threat.